Racial Politics: A new national survey finds more than 1 in 3 Americans worry a “great deal” about the state of race relations in America. Anxiety has reached new highs under President Obama. That’s no coincidence. He’s rubbed racial sores raw. Barack Obama was supposed to be a biracial leader who could heal the nation’s racial wounds and bring the country together. 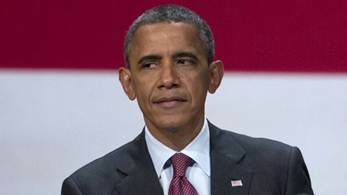 But since he took office, national tensions over race have gotten worse than ever, with the share of Americans who worry a lot about race relations soaring to 35% from a bottom of 13% just after Obama took office, according to a shocking new Gallup poll. In fact, racial strife is the highest it’s been in the poll’s 15-year history. Of course, the opposite occurred. Race relations have sunk, and Obama bears a large share of the blame. In virtually every policy and crisis, he has divided Americans by race, pitting groups against each other and even egging on racial violence. He has left race attitudes in tatters by relentlessly focusing on the problems of race in America. Obama’s open praise of Black Lives Matter — a militant cop-hating group whose leaders he invited to the White House for more than one meeting — is just one of many examples in which the president deliberately chose to fan the flames of racial anger. Black Lives Matter has become the most divisive and destructive bully on the block, now terrifying even schools. 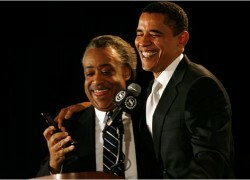 He also sought the counsel of racial opportunist Rev. Al Sharpton. And in case after case of police shootings, he took the side of violent thugs over law enforcement. Obama even lionized a young St. Louis black man who robbed a store and then beat and tried to disarm a cop who had no choice but to fire in self defense. Obama has viewed virtually every event and issue through a racial lens, acting more like a racial activist than a chief executive. Obama has branded the entire criminal justice system racist — cops, courts, municipal judges, even jurors. He extends the same false accusation to landlords and employers, along with home lenders, car lenders, payday lenders, credit reporting agencies, debt collection agencies and on and on. To hear Obama, even the most liberal among us are racist. He claims teachers and principals, who have eagerly embraced multiculturalism to a fault, suddenly are conspiring to shove misbehaving black students into a “school-to-prison pipeline,” where they have no choice but to lead a life of crime, thanks to suspensions and expulsions. If we didn’t know any better, we’d think the president suffers from paranoia. Our own polling picked up on this trend back in 2014, when an IBD/TIPP survey found that a stunning 46% of Americans thought race relations worsened under the man who was supposed to usher in a racially harmonious era, while only 18% said they had gotten better. Only, he never really had such a vision. His racist preacher gave that away long ago. Obama poisoned race relations to help sell his “social justice” nostrums, unforgivably doing damage to trust in future presidential candidates of color.